A keyboard is easy to connect, and makes your iPad way better. We’ve brought you plenty of tips on using an external keyboard with the iPad, but I’ve never written a how-to on actually hooking one up. Today we’ll fix that, with a guide to using pretty much any keyboard with your iPad (or even your iPhone). Why use an external keyboard with iPad? The on-screen keyboard slides down, letting the current app(s) use the the full screen. This gives you a whole lot more space for viewing your document. It also makes split-screen multitasking more practical. Keyboard switcher. If you hit ⌘-TAB on a connected keyboard, you’ll see the same app switcher that you see on the Mac. This lets you quickly switch apps, and even return to the home screen, all from the keyboard. Keyboard shortcuts. Many apps have added support for keyboard shortcuts. At the very least, you’ll get the standard copy and paste shortcuts (⌘C and ⌘V). But some apps, like Things, let you control pretty much everything from the keyboard. To see what shortcuts are available, hold down the ⌘ key. The iPad’s Mac-like app switcher is only available when you use an external keyboard. The most likely kind of keyboard you’ll connect is Bluetooth. These are convenient, and perfect for the iPad (which requires a dongle to plug in a USB keyboard). 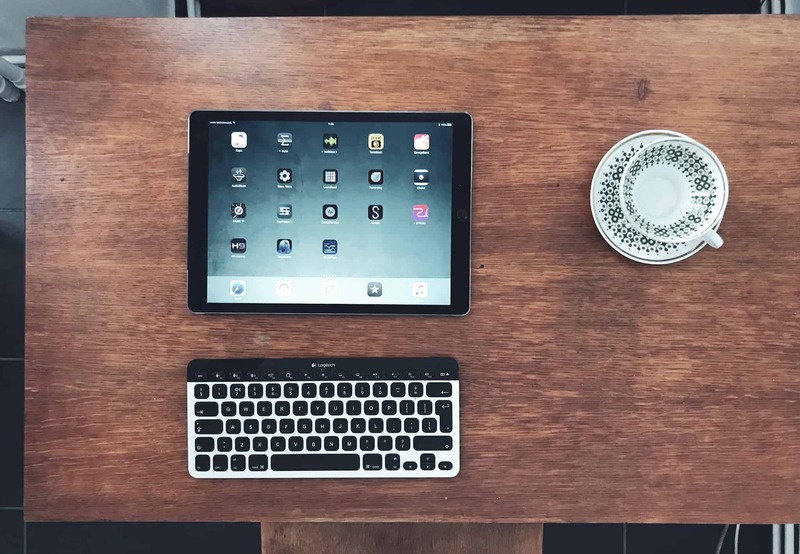 The pairing process for a Bluetooth keyboard varies from model to model, but on the iPad (or iPhone), you will find the keyboard in Settings > Bluetooth. Just put the keyboard into pairing mode, then — when its name shows up in your Bluetooth settings — tap to pair. That’s it. After this initial pairing, the iPad will connect to the keyboard whenever you switch it on, and the on-screen keyboard will be hidden. 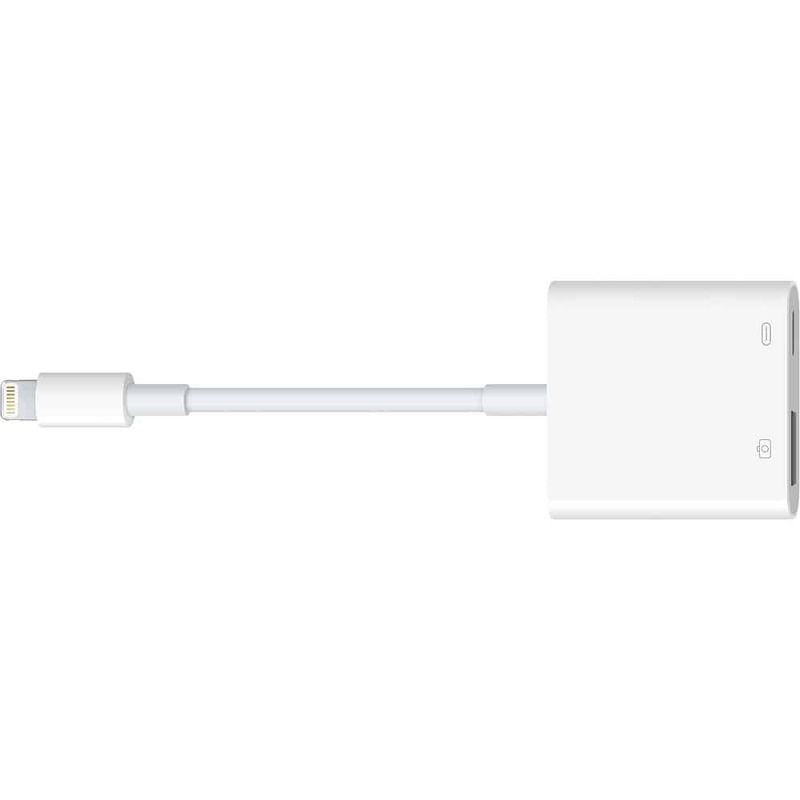 Apple’s dongle lets you connect all kinds of USB accessories to your iPad. Pro tip: You can plug a USB hub into Apple’s adapter, and then hook up several USB devices all at once. This is the easiest way to get started with an external iPad keyboard. Apple and Logitech make several keyboards and keyboard cases that connect to the iPad using the Smart Connector. Power and data flow through this connector, and any connected device is immediately recognized. You can only use the keyboard with a compatible iPad. Your choice is limited compared to Bluetooth and USB keyboards. Smart Connector keyboards and cases are expensive compared to other kinds. The keyboard has to touch the iPad to work. You can’t raise the iPad to eye level on a stand, or remote control it from across the room. When you connect a keyboard, a new setting option appears. There are two important things to note about hardware keyboards on iOS. The first is that you still can’t switch the modifier keys. On the Mac, if you hook up a PC keyboard, you can easily switch the position of the ⌘ and ⌥ keys in the keyboard settings. This puts the ⌘ key by the space bar, as nature intended, and the ⌥ key next to it. If you hook up a PC keyboard to the iPad, then you’re stuck with the PC layout of these two keys. If you’re a Mac user, this will drive you nuts, because the ⌘ is no longer next to the spacebar. There’s nothing you can do about this, so just avoid PC-layout keyboards. The other important point is that when you connect a hardware keyboard, a new entry appears in the Settings App, called Hardware Keyboard. This is where you can tell the iPad what kind of keyboard you’re using. You can pick your country layout here. Unfortunately, the U.S. International – PC keyboard doesn’t switch the ⌘ and ⌥ keys. Nor should it, I suppose, as this would annoy PC users. If you have a keyboard that you can connect to your iPad, it’s worth giving it a try. Even if you don’t do a lot of typing, you may like the fact that you can use the spacebar to play/pause movies, for instance, and use the media keys as you’d expect. Check it out.